The crowd spilled over from the first lecture room into a large lecture theatre, which then spilled over into a courtyard with a giant screen. The presentation was streamed to regional and remote areas and interstate. The Curtin School of Medicine Information Session on Wednesday 26th April was THE event in town. Curtin offers the only direct entry Bachelor of Medicine program available to school leavers in WA and there is clearly heavy-duty competition for the places. Last year there were 60 students chosen from 1500 applicants with some students gaining entry through Aboriginal and Torres Strait Islander, rural and equity places. In 2018 there will be 70 places available, mainly to school leavers although there will be some places available to non school leavers. There are no places for international students until 2021. A key difference that I noted in the Curtin course was the focus on problem solving across a team of health professionals. Students work with others from pharmacy or physiotherapy or nursing and so on to learn how to deliver a holistic approach to health care. The small cohort of students resulted in close relationships with educators. The staff were excited by the new program and open to new ideas. Students felt that they were part of a team that was building a great course and great reputation for the Curtin Medical School. There was talk about High standards of professional behaviour. I thought that was a bit vague but found further explanation on the Curtin site. You will need to get an ATAR score of 95+. Ensure you have done chemistry as an ATAR subject. If you haven’t studied chemistry contact the Medicine Admissions Coordinator Jo Washington King, to find out what to do. It is also desirable that applicants have also studied maths at ATAR level. While you are studying your butts off trying to blitz your ATAR score you will also need to do the Undergraduate Medical Admissions Test which is on 25th July in 2018. Registration for the Test closes on 1 June. The Australian Council for Education Research administers the test and provides instructions and sample tests for you to practice on. Preparation videos are also available once you register for the test. Students apply to Curtin via the normal TISC process which opens in July and closes on 29th September but if you achieve the UMAT threshold your school will need to complete the Predicted ATAR form and send it to Curtin so that they can start planning the interviews, which are the final stage in the selection process. Curtin is looking to give guidance to schools on how to predict ATAR scores. 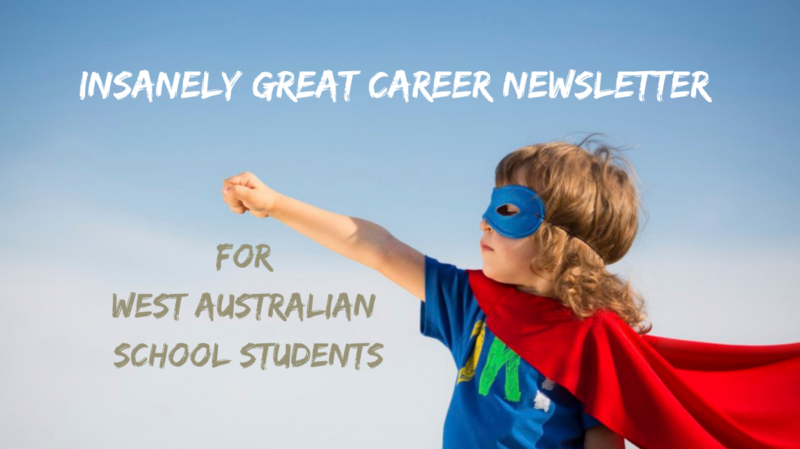 If you score a higher ATAR than your school predicted you may get an interview in the second round that occurs in mid January, after ATAR results are published on or around 19th December. If you don’t get an interview in the first round it is suggested that you start preparing your Plan B straight away. When looking at who to interview Curtin looks at ATAR scores and UMAT scores. They don’t look at which university you put down as your first preference. Those students who score highest on their ATAR and UMAT will be given an interview. The interview process is made up of 8 Multiple Mini Interviews (MMIs). You move from each interview into 8 different rooms. You are given a question and have 3 minutes to prepare your answer, then you go into the room and give your response for 8 minutes. There are two rest breaks. The MMI’s take 88 minutes. I have heard this process described as an endurance test. Interviews are done by trained MMI interviewers who are trying to determine your suitability for the medical profession. YouTube videos and sites like MedStudents Online and Whirlpool will give you some ideas about what to expect but your experienced interviewers are not looking for rehearsed answers, they want to know about you and your suitability for the profession. Be clear that medicine is really for you. Your interviewers will be trying to find the most committed applicants and to discover what is driving their decisions. Be yourself. There is nothing better than seeing applicants who know why they want to do medicine and who are passionate about their decision. Get work experience at a hospital or research facility. Learn about the differences between the undergraduate degree offered by Curtin and the post graduate degrees offered by UWA and Notre Dame. Go to the open days at each university. There will be current students at the Curtin open day to talk with you. Don’t try to cram academic knowledge for the UMAT. You need to learn how to do UMAT types of tests. You will find it intimidating. You will be out of your comfort zone. People talk about how many drills they have done. Both students said human biology at ATAR level was useful to them. There is a new Curtin Medical Society. Check out the scholarships on offer through there. Curtin has an equity program and a support program for Aboriginal and Torres Strait Islander students. You can read one student’s story HERE. There were Year 10 students at the Curtin presentation! They were hanging off every word in their quest to get the edge on all of the other aspirants. I bet they will be back next year AND the year after. There is no doubt getting into medicine is a tough gig. And being a doctor is a tough gig. Last year I provided career advice to a brilliant ATAR student who said there was no way he was going into medicine. Both of his parents were doctors and he saw the emotional toll it was taking on them and on their family life. He thought he might like to become a physics teacher. As technological and scientific advances snowball pressure to keep up with emerging knowledge will add stress to an already stressful life. Despite all of these drawbacks there are hundreds of people lining up to get into medicine. Good luck with your decision. Categories: Medicine | Tags: Curtin, Health, Medicine | Permalink.